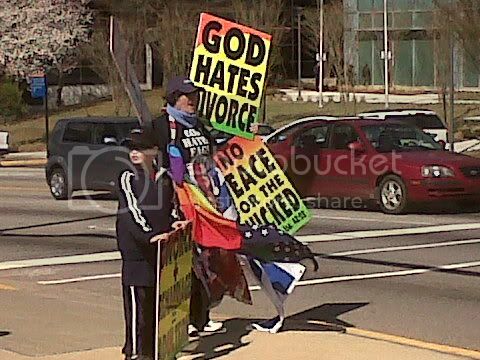 Four members of the Westboro Church (i.e. 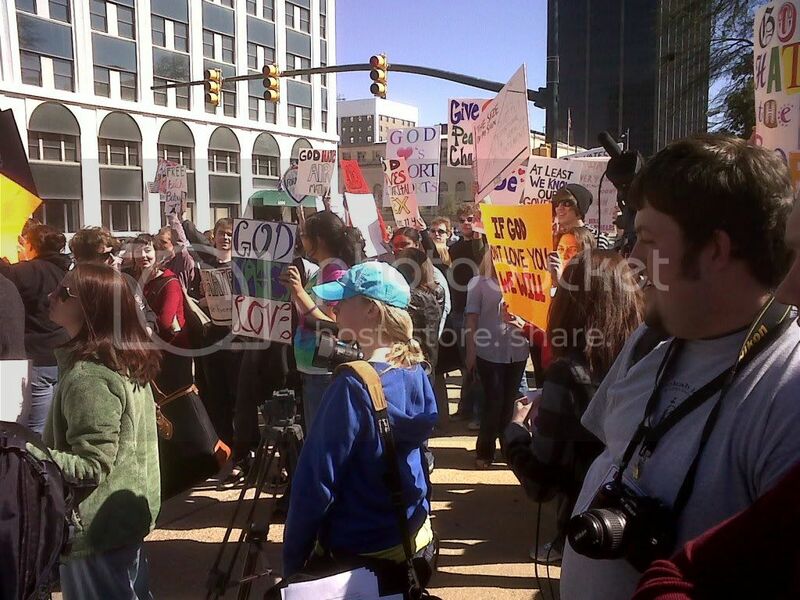 that “God Hates Fags” group) came to the South Carolina state capitol today and was met with a huge wave of protesters who outnumbered them 50 to one. And the entire encounter took place in front of a State House event honoring the Special Olympics, creating a happening which was so surreal that the late Rod Serling would have said to hell with it and not bothered with his introduction. I, of course, was in the middle of it all and learned a few things. 1. I love the energy of lgbt youth. 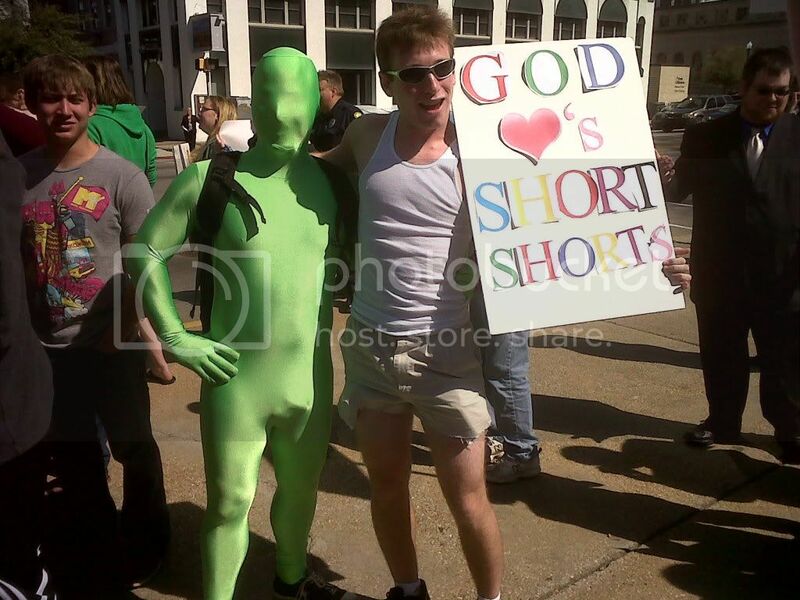 The pro-gay crowd was comprised mostly of them and they recognized the ignorance of the Phelps group for what it was. No one got angry and no one got hostile. Don't get me wrong. They stood arm-in-arm and chanted when necessary, but they also used the event to have a little fun as the pictures show. And the event underscored how us older folks should never take them for granted. We must always stand with them and support them because they always manage to surprise us with their maturity. 2. 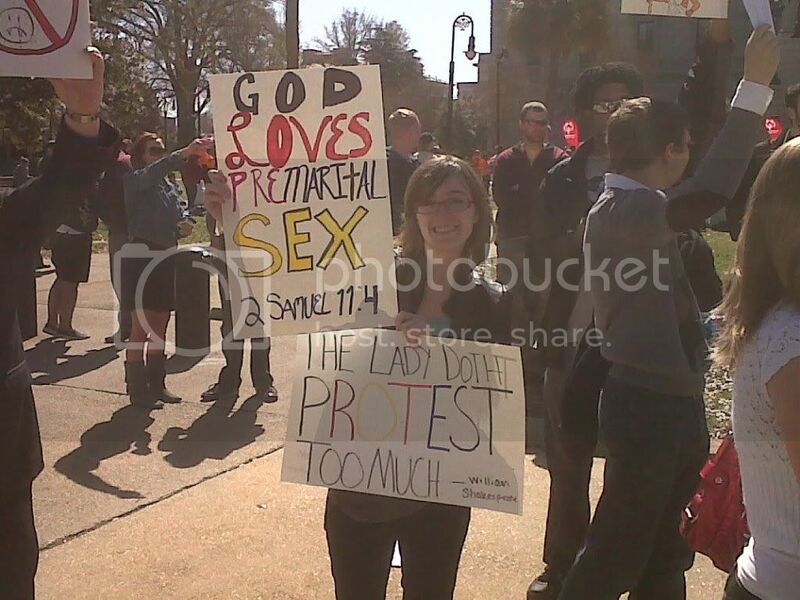 Standing against folks like Westboro is necessary. Now usually this blog focuses on the covert actions of pseudo legitimate groups like the Family Research Council, Concerned Women for America and spokespeople like Matt Barber and Peter LaBarbera. 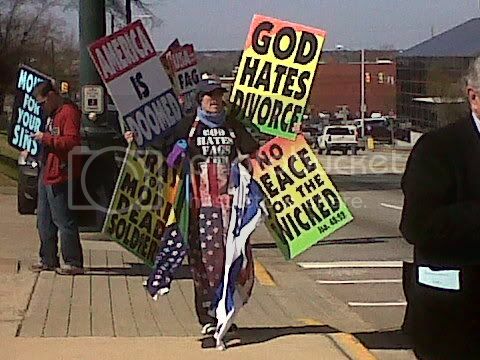 But let's not get so high and mighty that we forget that Westboro yanks all pretenses from their hate. No code words, no slogans – just pure unadulterated hate. And hatred should always be slapped down. 4. Little kids get bored easily even if they are holding hateful signs.